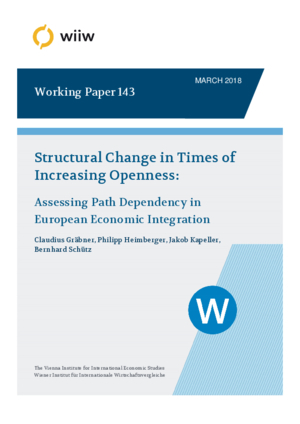 This paper analyses the dynamics of structural polarisation and macroeconomic convergence vs. divergence in the context of European integration, where the latter is understood primarily as an increase in economic and financial openness. In the process of estimating the dynamic effects of openness shocks on 26 EU countries, we develop a taxonomy of European economies that consists of core, periphery, financialised and Eastern European catch-up economies. As these four country groups have responded in a distinct way to the openness shocks imposed by European integration, we argue that the latter should be seen as an evolutionary process that has given rise to different path-dependent developmental trajectories. These trajectories relate to the sectoral development of European economies and the evolution of their technological capabilities. We propose a set of interrelated policy measures to counteract structural polarisation and to promote macroeconomic convergence in Europe.